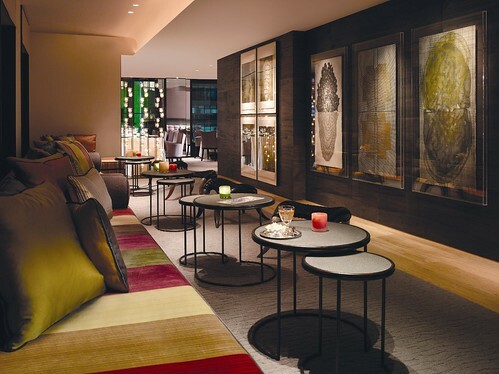 It is of urban folklore that the best place to see and be seen amongst the elites of Hong Kong (you know, the bankers, models and socialists) is at this uber hip place called SEVVA, located at the 25th floor of Prince’s Building at Central. As I am not a suit, you could understand my hesitation in visiting the place. I was afraid one drink at that place will stretch my already-burdened credit card to the limit. And then one day, I got a brand new credit card. What’s a better way to officiate it than a drink (or three) at one of the hippest place in town? My initial fear was proven to be unfounded. It didn’t mattered that I was in shirt and jeans the night I dropped by. 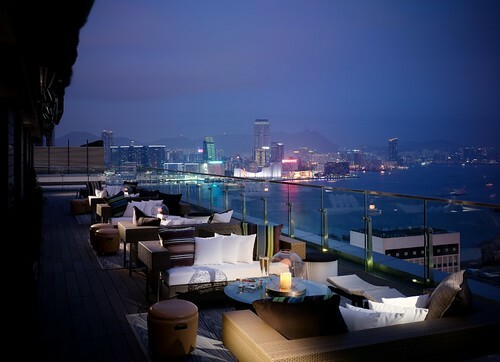 The maître hardly raised an eyebrow as he showed us to The Terrace, which overlooked the entire Hong Kong Island harbour and the Central financial district. It was a mildly cold winter night, so the weather was perfect for a chill out. The menu from the Taste Bar was exquisite; yes, the selection of cocktails may set you back a little more than your normal price, but after trying the likes of Cosmopolitan and Straight To The Head, I can only say it was worth every penny. Each cocktail averaged out to be about HK$80 or so (personally I would recommend the champagne variety). Beer was slightly cheaper. For everything else, well, the sky’s the limit. 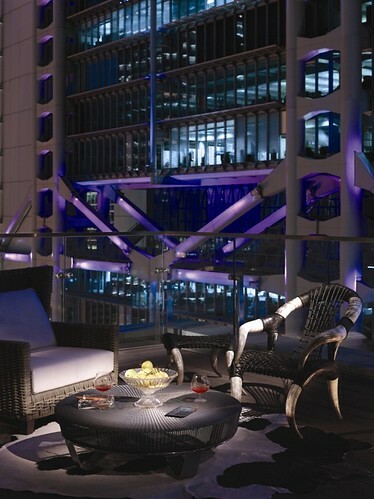 Another thing which made SEVVA stood out from some of the other bars I visited in Hong Kong was its impeccable service. The crew spoke good English (I assure you, this is somewhat uncommon in Hong Kong) and was very attentive. My snack platter (nuts, chips and the like) never went empty for the entire two hours I stood shivering (in delight, of course) at the Terrace. 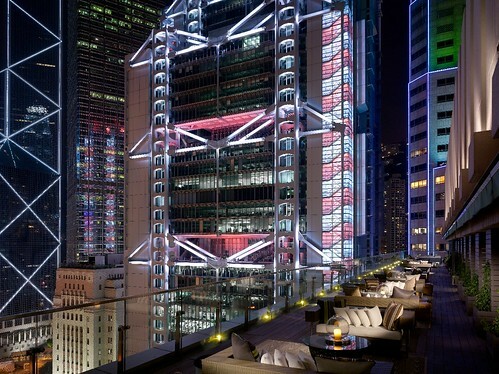 Apparently, from this vantage point one has the best view for the much-touted light show in Hong Kong. Having experienced the spectacular first hand myself, I would suggest you spend you precious 8 p.m. here but not expecting something out of this world. Really, certain things can be way overrated. The show, not the place. But all in all, it was a great night out at a great place. I will certainly return again.